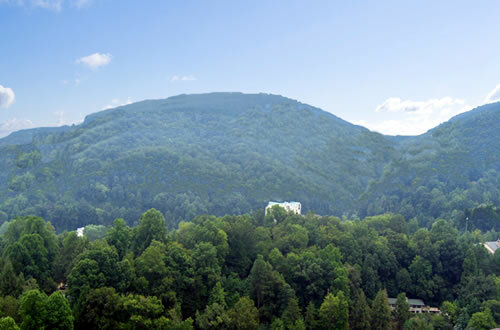 The original source of tourism for the area came from visitors to the Great Smoky Mountains National Park (over 9 million annually come to vacation). Bordered by the park to the east, north and south and by Pigeon Forge to the west, Gatlinburg is a natural base for discovering the Smokies. 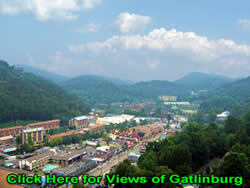 Today Gatlinburg, Tennessee has a lot more than just a national park to offer visitors. The area has become a popular year-round vacation destination. 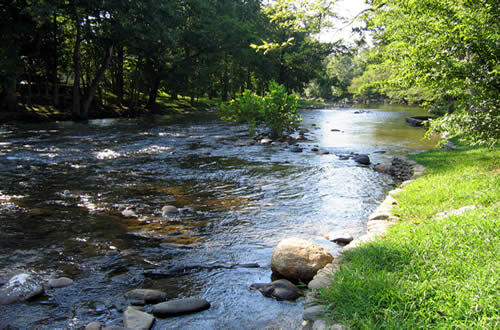 The area is home to a myriad of attractions and outdoor activities to delight the entire family. Take a look at our attractions guide for more info. Visitors flock to the area during late spring and all through the summer to enjoy outdoor activities including golf, white-water rafting, swimming, horseback riding, fishing, and much more. During the autumn months the area hosts visitors who come to enjoy the stunning display of color found throughout the Smokies. And last but not least, during the winter months skiers and snow boarders hit the slopes. Check out our Lodging Guide for a vast selection of accommodations ranging from spacious cabins with spectacular views to luxurious chalet rentals and villas as well as conveniently located hotels. Visitors will discover hundreds of Gatlinburg cabins, chalets and condos, a multitude of hotels and motels, several bed and breakfasts as well as campgrounds and RV parks. 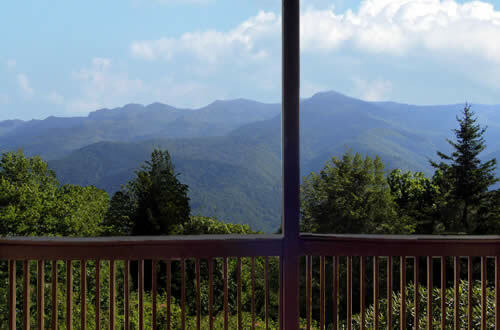 You're sure to find the perfect accommodations for your Great Smoky Mountains vacation. The area features an array of comedy, gospel, and musical-variety shows to keep the entire family entertained. Vacationers will also find an abundance of inviting activities including fairs, festivals and parades going on throughout the year. One of the biggest is the Craftsmen's Fair. The Great Smoky Mountains host tens of thousands of romantic weddings every year. The mountains are an ideal location and provide a perfect backdrop for this important ceremony. Couples can get married in a quiet mountain chapel, the Park, or in the privacy of their cottage or cabin rental. 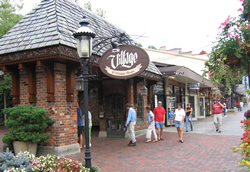 A great place for ambling along the sidewalks and exploring the hundreds of unique and charming specialty shops, boutiques and art galleries is downtown. All the shops are within easy walking distance or just a short trolley ride away. For a change of pace visit one of the nearby outlet shopping malls. 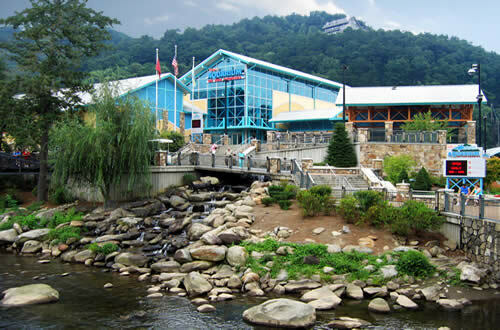 You may also want to take time while you're in Gatlinburg TN to visit the 80+ shops in the nearby Great Smoky Arts and Crafts Community where you will find handcrafted and one-of-a-kind works including jewelry, watercolors, pottery, baskets, brooms, quilts, linens and more. Visitors will find a wide selection of restaurants offering everything from fast food to good old-fashioned home cooking to fine dining. 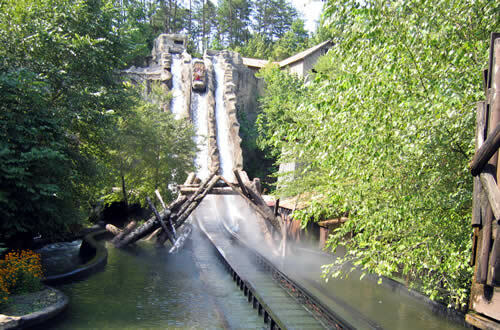 Whether you're looking for an intimate, romantic atmosphere or you just want something quick and inexpensive, you will find in Gatlinburg, TN.